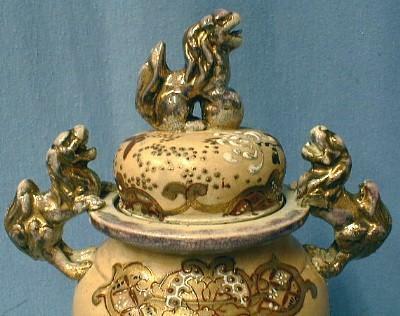 Kara Shi Shi Finial, Shishi handles and three mask feet add to the ornamentation of this covered jar. 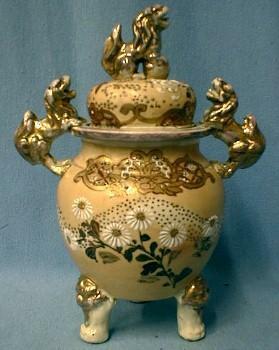 Measures 8" high and is in very good condition with no chips, cracks or hairlines. Circa mid to late 1800's. 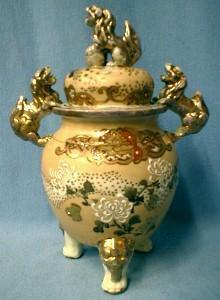 Items Similar To " Satsuma Pottery Urn with Kara Shi Shi - Antique Victorian Cover..."